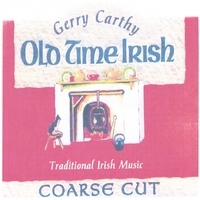 Old Time Irish is a collection of tunes and songs inspired by the traditional Irish sessions in Galway, where Gerry played in the '70s and '80s. The CD was recorded in 2005 and features Gerry on tenor banjo, concertina, tin whistles, mandolin, fiddle, tenor guitar, bouzouki, guitar, and vocals. 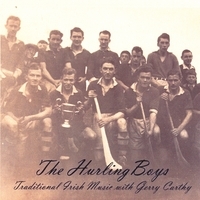 The Hurling Boys CD was recorded in 2006 and offers more Traditional Irish tunes and a few songs played in the 'Old Style' on a variety of instruments including tenor guitar, tenor banjo, fiddle mandolin, whistles, concertina, bouzouki and guitar. 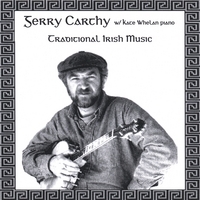 The CD is dedicated to Gerry's father, Paul Carthy (1911-2006) . Traditional Irish tunes played by Gerry Carthy on tenor banjo, mandolin, guitar, tin whistles and button accordeon and accompanied beautifully by Kate Whelan on piano and harpsichord. This CD was recorded in 1988. 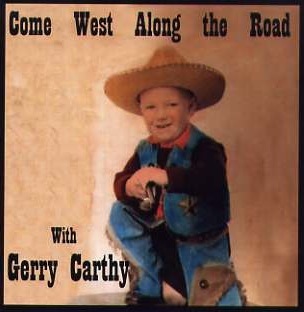 Inspired by this photograph of himself as a youngster, Gerry Carthy produced Come West Along the Road as a tribute to the Southwest. Recorded in 2007, the CD features Gerry on various instruments blending the sound of traditional music of his native Ireland with the Spirit of the Wild West which has now become home.